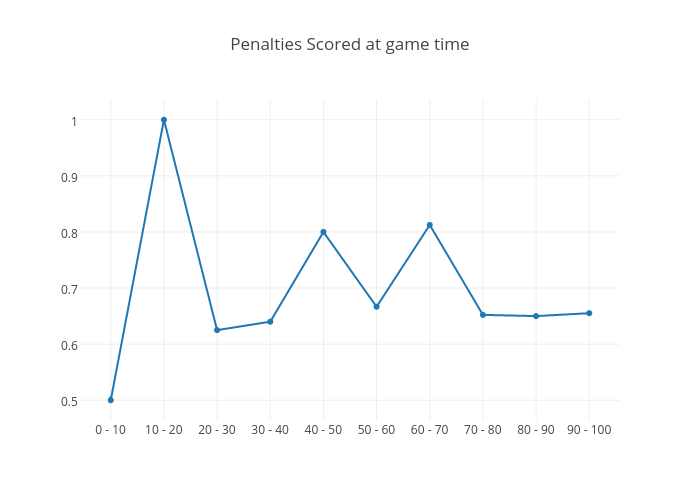 Let’s look at when it is most likely that a penalty will be converted to a goal. 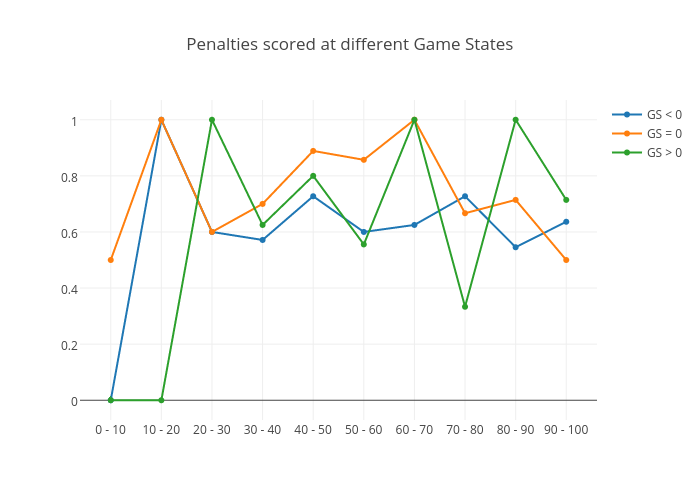 The first plot shows the percentage of penalties being converted to goals divided by game time in 10 min intervals. The data is for Allsvenskan, Superettan and Div 1 this season and last. Not one single penalty taken between minutes 10 and 20 have been missed. 14 taken 14 scored! Otherwise the data set is pretty small, to small to notice anything else that stands out. … the teams leading at the end of games actually are more prone to score from the 9m spot! And teams that are trailing in games almost always seem to have a harder time converting penalties to goals. Next Next post: Featured in the ÖFK-podcast and upcoming XG-justice!